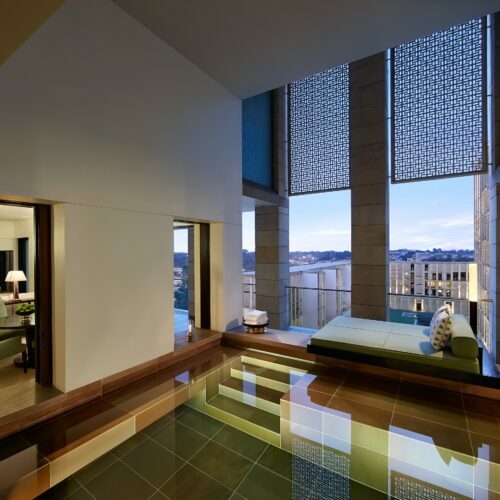 Luxury City Hotel. 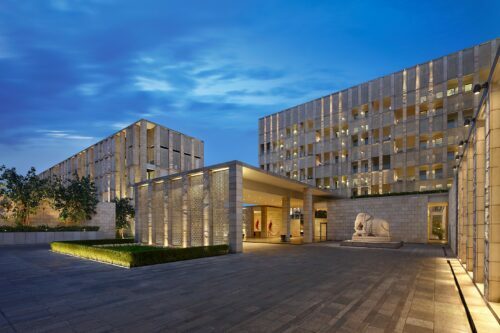 Just within reach of Delhi's bustling city centre, The Lodhi New Delhi is a cosy retreat in spacious surroundings, offering guests an ideal base from which to explore the city's many diverse charms. 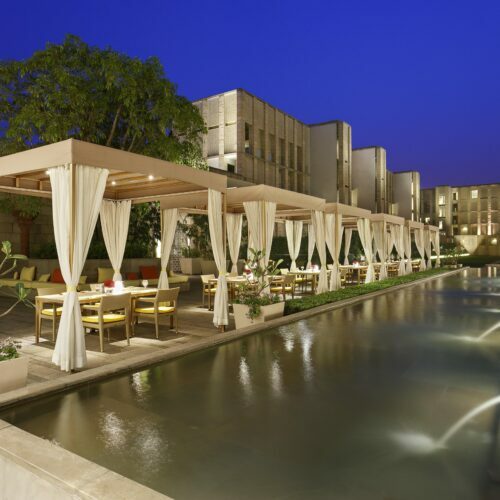 With luxurious rooms and suites framing an exquisite courtyard, dark timber panels, locally quarried stone and jaali screens create an inviting aura of mystery in this charming resort. The design of this luxury resort is contemporary, complemented with Indian touches such as hand-made rugs and jaali screens. Spacious suites afford guests the opportunity to relax in enveloping luxury, while the heady aroma of fresh flowers throughout the aman resort brings nature home to this metropolitan haven, and are designed with a contemporary flair, drawing their aesthetic references from local materials as well as the architecture and design of the region. 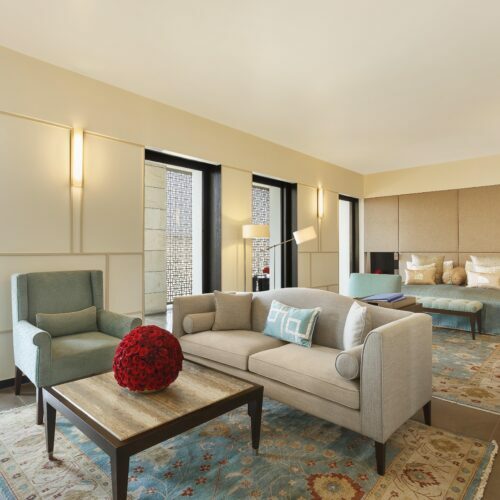 The Lodhi New Delhi's rooms and suites are positioned for complete privacy. 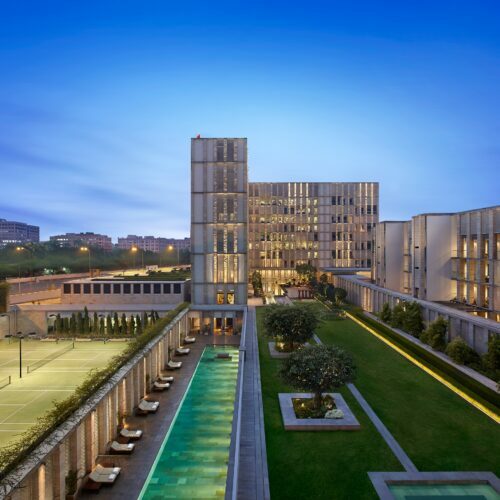 One/two/three bedroom luxurious Lodhi Suites may be solely accommodated for families or celebrities seeking a private wing of the hotel during their stay. 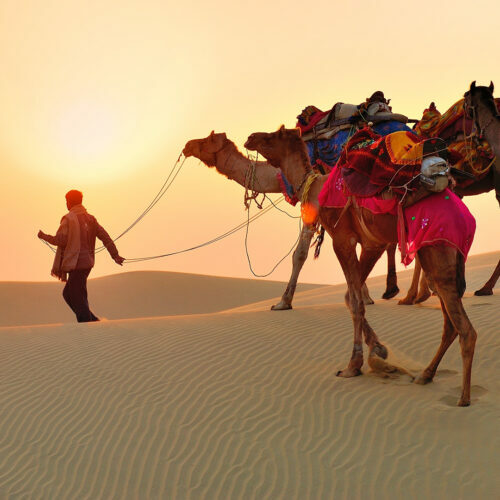 The Lodhi can be found on our Ride the Romantic Desert itinerary.